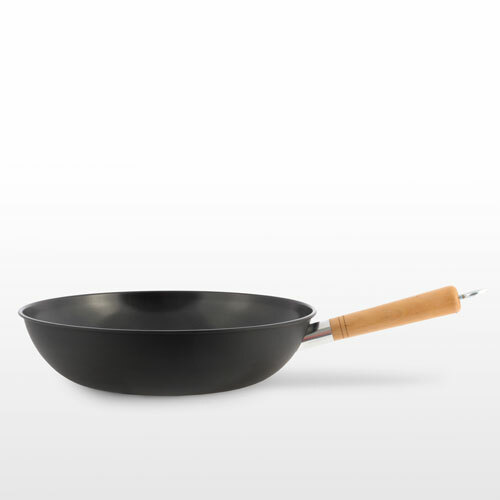 This Wok set features: 1 frying pan with a ring for hanging (approx. dimensions with the handle included: 49 x 10 x 31 cm), 1 set of tongs (approx. 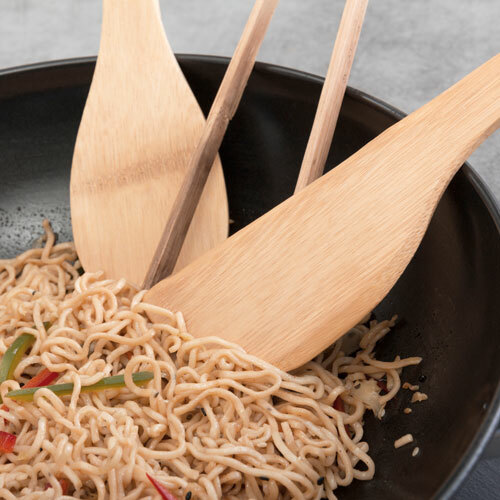 : 2.5 x 1 x 24.5 cm), 1 spoon (approx. 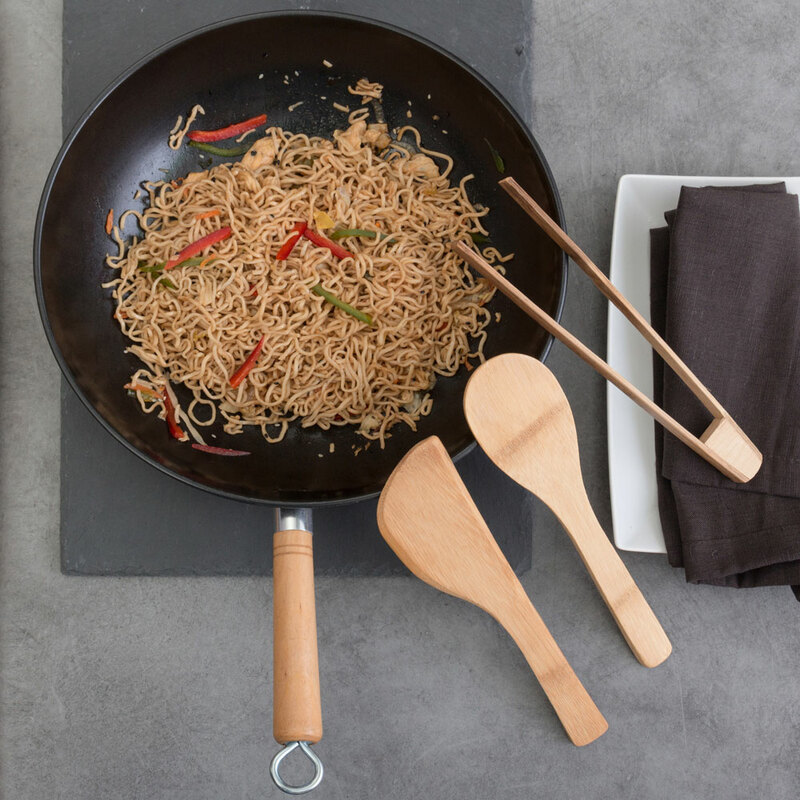 : 6 x 0.5 x 24 cm), 1 spatula (approx. : 5.5 x 0.5 x 24 cm).